Device-as-a-Service (DaaS) is a purchasing model that allows organizations to access hardware—such as headsets—through a ‘pay-as-you-go approach’, much like one would subscribe to a software or cloud service. The DaaS model has numerous advantages that have proven beneficial to customers, particularly for those undertaking unified communication rollouts. If capital expenditure is a barrier to rolling out a unified communications project in your business, Device-as-a-Service (DaaS) could be the solution. DaaS delivers your hardware and software through an operational cost model, so you can access the services you need, from day one, with one single monthly cost. Subscribing to a device plan rather than purchasing devices outright allows for increased flexibility and scalability for your organization to respond to changes in staff, or changing technology, as time moves on. With DaaS you can add, change, and upgrade headsets — at any time, as much as needed — within the same contract. A key factor in successful unified communications rollouts is having the right tools to ensure adoption. If you are investing in a company-wide rollout, you don’t want to compromise on equipment that may make or break the success of your project. DaaS can make premium hardware more accessible due to the OPEX vs CAPEX nature of the model, allowing for improved user experience and greater adoption. The DaaS program ensures your team is provided with working headsets for the life of the contract, as well as technical assistance and advance replacement. With DaaS, your team will always have the tools they need with no costs for maintenance. How's that for peace of mind? DaaS is a streamlined approach to device management, allowing you to bundle your devices with your Software-as-a-Service solution and receive one single monthly bill for combined services and hardware. DaaS subscription options are available to customers with 100–2500 users over a 12, 24 or 36-month duration. UnifiedCommunications.com can offer a range of DaaS solutions, including plans bundling in Plantronics headsets. 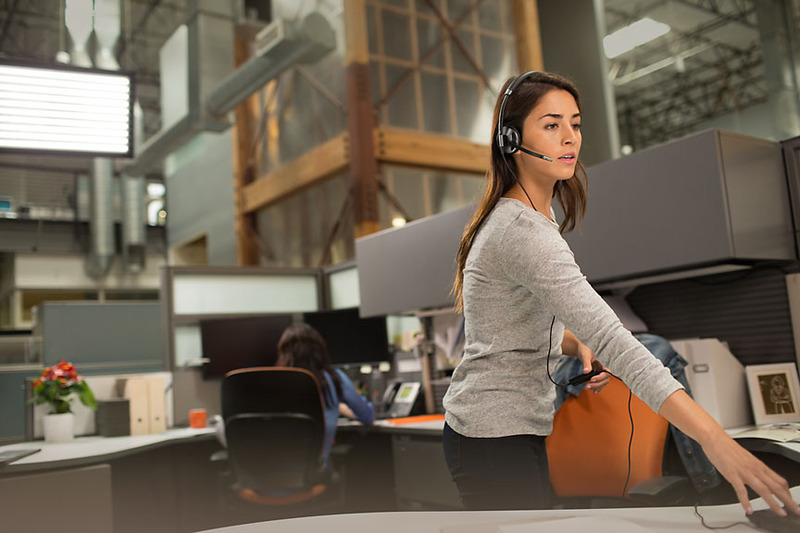 Talk to your Cloud Service Provider about Plantronics Device-as-a-Service Pro, or contact us today to learn more.